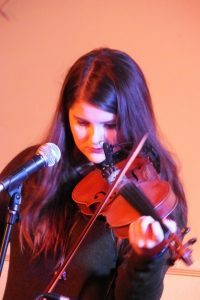 Home › Culture › Mollag Ghennal Hits the Right Note in Peel! 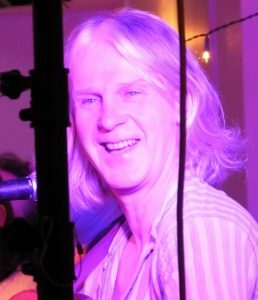 The long-running Mollag Ghennal has been a favourite crowd puller at a variety of venues, but this year the annual event was held in the Masonic Hall in Peel, retaining its winning formula of providing some of the best acts in both traditional and new music. 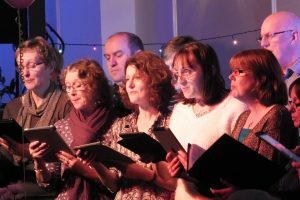 Along with the familiar harmonies of Manx Gaelic Choir Caarjyn Cooidjagh were stalwarts of the local trad music scene – Malcolm Stitt, David Kilgallon, Jamie Smith, Isla Callister, Daniel Quayle and Matt Kelly, but it was also an opportunity to introduce some new ideas and innovative musical arrangements; using a fresh approach and some up and coming and talented musicians, such as new kids on the block Scran. 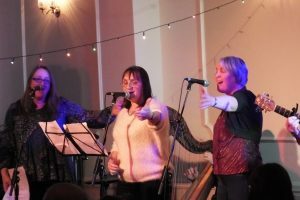 Usual hosts the Mollag Band also departed from their typical, distinctive style of music, singing a selection of popular songs from recent decades in Manx Gaelic, as part of their new Manx Pop Project. 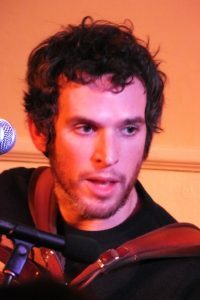 Additionally, new outfit Clash Vooar (Big Groove) presented some well-known faces, who picked up a selection of Manx tunes, songs and original compositions and bestowed them with a refreshing, jazzy texture.